How often can you schedule time to save someone’s life? Put Friday, September 82th on your calendar and stop by the Keller Williams Realty office at 821 S. Neil Street in Champaign between 9am and noon to do your part. Keller Williams Realty will be hosting Community Blood Services of Illinois 9/28 from 9am to noon for another blood drive. We get to host this about once a year and hope you can participate. If you frequently donate the last date to donate elsewhere and still participate with KW is 8/3/12. 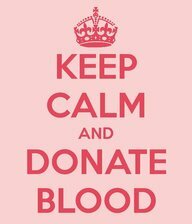 Find more info at the Community Blood Services website or on their facebook page. While you’re on facebook be sure to “Like” the ChampaignExperts page as well. See you Friday the 28th!